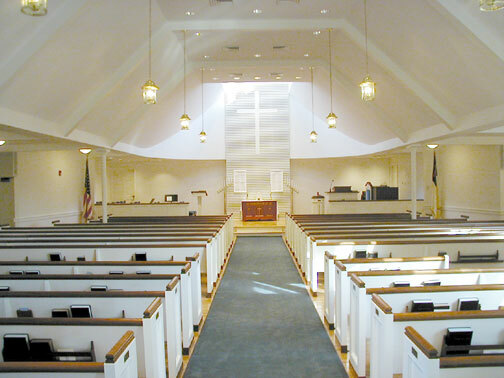 The Seekonk Congregational Church is pleased to be part of your wedding. It is one of the most significant events of your life, and therefore, all care and thoughtfulness should be taken to make it special and unique. The ceremony should authentically reflect your uniqueness as a couple and new family. Our minister will assist you in making it a special occasion and will work with you in the required counseling and preparatory sessions. However, ultimately it is up to you to make this your wedding and not merely a formality. The Minister and Board of Deacons have final authority over the use and order of the sanctuary and the service. Your initial contact should be with the minister to clear dates and arrange for your pre-marital counseling. If possible, this should be done at least 4-6 months in advance of the wedding date you desire. The earlier you make your arrangements, the more likely you are to get the date and time you wish. In addition, the following information may be helpful as you plan your wedding. Your marriage license MUST be obtained at the Seekonk Town Clerk’s Office at the Town Hall, located on 100 Peck Street, Seekonk, MA (508-336-2920). Since your minister cannot legally marry you without the license in hand, it is required that you bring it to the church office (along with the fees) and give it to the office administrator two weeks prior to the rehearsal. In preparation for your wedding, you are expected to meet with the minister for 2-3 pre-marital counseling sessions. These sessions will deal with basic issues in marriage relationships, communication skills, goal-setting, building the wedding ceremony and other issues which may arise. Most weddings require a rehearsal, usually held one or two nights prior to your wedding day. Everyone participating in the ceremony should attend the rehearsal. Promptness is requested and the rehearsal should last no longer than 45 minutes. Wedding receptions may be held in Woodworth Hall if desired. However, please note that no alcoholic beverages may be served on church property, although permission for a champagne toast is often granted for wedding receptions. Caterers and others working in the reception are asked to get clearance with the church office well in advance and clean up immediately following the reception. Fees are available by contacting the office administrator. 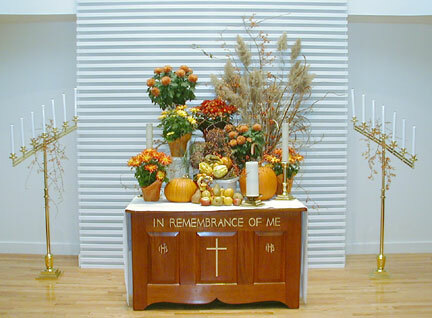 Altar flowers help to make the wedding more beautiful, and can be ordered through the florist of your choice. Consult with the minister for final arrangements, as she/he knows the policy of the church concerning decorations. A white aisle runner is an optional item and is the responsibility of the florist if requested by the couple. part of the ceremony just prior to the entrance of the wedding party. Because your wedding ceremony is a sacred moment in time, we do not allow flash pictures to be taken during the ceremony. It is appropriate, however, to photograph the processional and recessional. Ushers should be instructed to inform guests with cameras about this. Pictures may be taken by the photographer before the service and at the processional and recessional, but no flash pictures may be taken during the service. Following the service, pictures may be posed. The service is too significant to be interrupted by flash or movement of photographers during the service and the minister reserves the right to interrupt the service, if necessary, to speak with a photographer or videographer who does not follow the above criteria. Please be sure that the photographer understands this requirement. Video-recording of wedding is permitted. However, arrangements concerning positioning of the camera must be made with the minister or wedding coordinator at least 45 minutes before the start of the ceremony and additional lighting is not permitted. It is appropriate for the videographer to attend the rehearsal. The church organist is expected to be in charge of the music unless other arrangements have been made and approved by the minister. The marriage service is a worship service—a sacred rite. As in any worship service, the music is to be chosen with care and discrimination. Since in the marriage service the assembled people of God join with the celebrants in asking for God’s blessing, the music should accentuate the reverence of the service. Both texts and music should contribute to the worship atmosphere of the service. There is a variety of excellent wedding music. Volumes of music appropriate for the marriage service have been compiled and offer selections which can reinforce the dignity and reverence of your wedding. The organist and minister will gladly assist you in selecting your music. It is appropriate to use hymns in a wedding ceremony if a couple desires to do so. The minister and/or organist will assist you in selecting appropriate hymns. You should contact the organist soon after the wedding date has been determined. 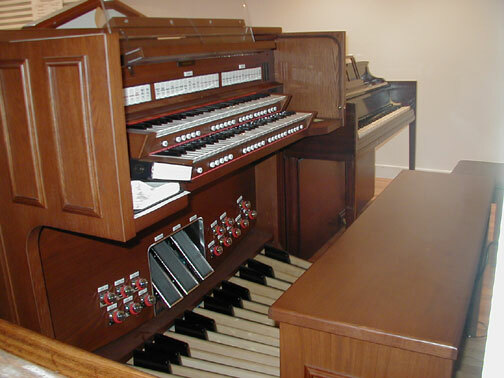 The organist will then determine a meeting time to discuss selections and listen to the possible choices. Please discuss any wishes along these lines with the minister. Because the church does not have an appropriate space that is large enough for most receiving lines, we request that you plan to have your receiving line at your reception, if possible. The celebrants usually greet at the door as guests leave. 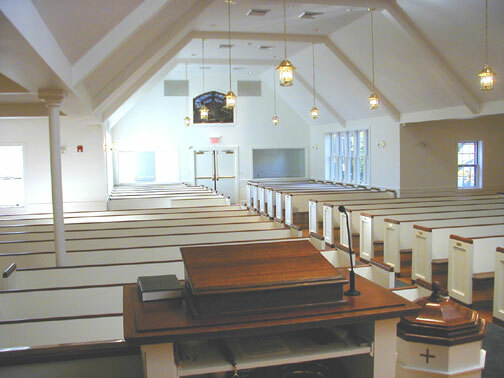 A kneeling bench is available to be used in the service if desired. You may wish to have orders of service printed. Please discuss this with the minister. 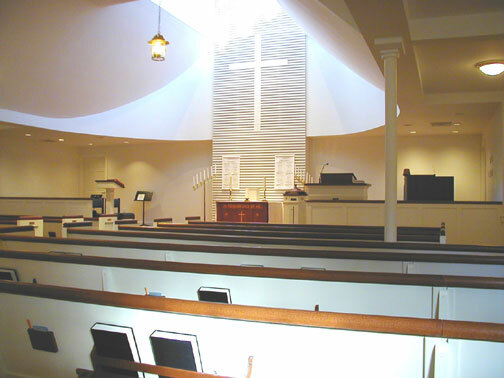 This church has a wedding coordinator who is present at the rehearsal and the ceremony – assisting with details, entry of the wedding party, etc. and the cleaning of the sanctuary following the service. Our minister often performs wedding services away from the church and is willing to work with you in that regard. An honorarium of $225 is requested in that situation (and would increase if the distance traveled is extensive). It is not necessary to invite the minister, with or without spouse, to your reception. However, if you wish to have the Minister attend, with or without spouse, please send an invitation. If it is possible, the Minister will attend and, if desired, provide a blessing for the meal. At the reception, it is not appropriate to introduce the minister with the wedding party, to include the minister in the receiving line, or to seat the minister at the head table. It is appropriate to call upon the minister for a blessing following the toast or for a prayer at the beginning of the meal. The fees and honoraria are paid to the office administrator at least two weeks prior to the ceremony. The fees and honoraria for couples who are not members of the church are higher than for those who are members. Couples shall be considered “members” if either the celebrants, or their parents are members in good standing of the church (for at least one year prior to the ceremony). Members, according to church by-laws, are those who have formerly joined the church, regularly participated in worship and have pledged on a regular basis to the financial well-being of the church for the past two years. Checks or cash are acceptable. Please make out checks individually for the Pastor the Organist and the wedding coordinator or place cash in separate envelopes for each person. Please see our Wedding Fees document for additional information. We are honored to be part of this new relationship. Please call on the church staff regarding any questions you may have or assistance you may need. We will be glad to help you. Because we are part of your new relationship, we feel a sense of responsibility to you and for you. If you are not yet a member, we extend an invitation to you to become a part of our church family now or in the future, and to use our services and/or our facilities. We also encourage you to come and see our minister should problems or concerns arise in your marriage in which you would benefit from our assistance. Thank you very much for allowing us to be a part of your union.